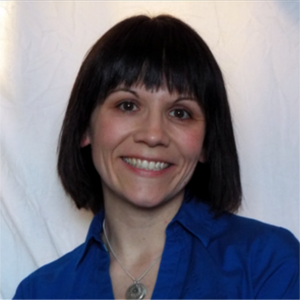 Jessica is a Certified Integrative Nutrition Health Coach. She graduated from the Institute for Integrative Nutrition where she learned innovative coaching methods and studied over 100 different dietary theories. She has studied with the world’s top health and wellness experts. Her education has provided her with knowledge in holistic nutrition and prevention. For the past 7 years she has been working with clients that have successfully followed her plan. 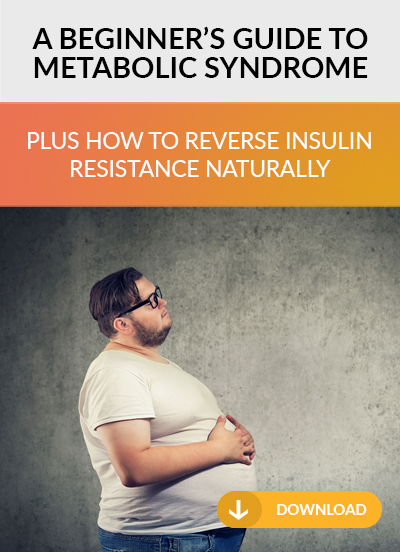 Many have lost weight and have been able to reduce or eliminate their need for medications, all through food and lifestyle changes. She works with her clients based on bio-individuality, meaning that no two bodies are the same. She encourages others to see things from a different perspective, guided through knowledge, motivation, and support. Her goal is to make her clients’ transition into a healthy lifestyle easier than they believe. She teaches her clients to get back to basics, and believes that health should not be complicated. Laurie started her journey practicing and teaching Yoga in 1999. From her first session with her private instructor she knew it would be something she would never live without. After working for a number of years with her teacher, attending seminars, conferences and classes, she decided to share her knowledge of Yoga and Meditation. 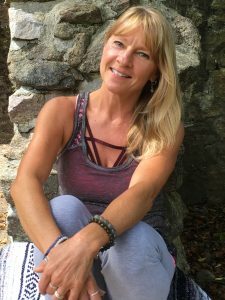 Laurie has completed a 250 hour Yoga Certification, an 80 hour Restorative Yoga Certification and a 50 hour Meditation Certification all with high honors through the Aura Wellness Center in Attleboro, MA. 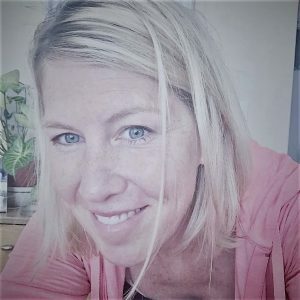 She has experience teaching group Yoga and Meditation classes, as well as working individually with students based on their needs and goals. Most recently, Laurie has completed a Mindfulness Fundamentals course through the Mindfulness School. Laurie believes it is never too late to begin a regular practice, and experience the amazing, healing and life changing benefits of Mindfulness, Meditation and Yoga. Carolyn Marotta is a certified Nutritional Therapy Practitioner (NTP) and co-owner of a beyond organic, permaculture farm in Coopersburg, PA. Carolyn studied Nutritional Therapy through the Nutritional Therapy Association’s NTP program learning all about the foundations of optimal health including digestion, blood sugar regulation, mineral balance, essential fatty acids and hydration. 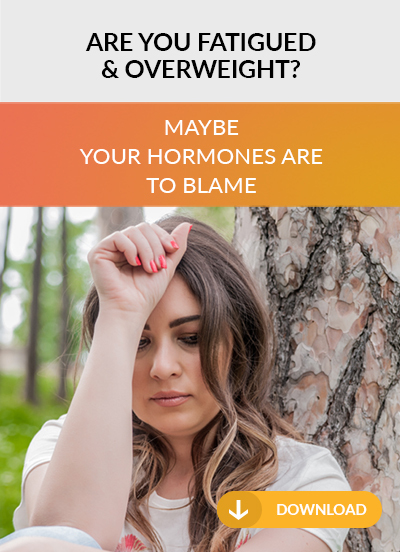 She learned how to support these foundations through a nutrient dense, whole food diet and an individualized approach based on the clients signs and symptoms. Carolyn has been practicing as a NTP since 2016 and has successfully applied the foundations of optimal health to help her clients reach their health goals. 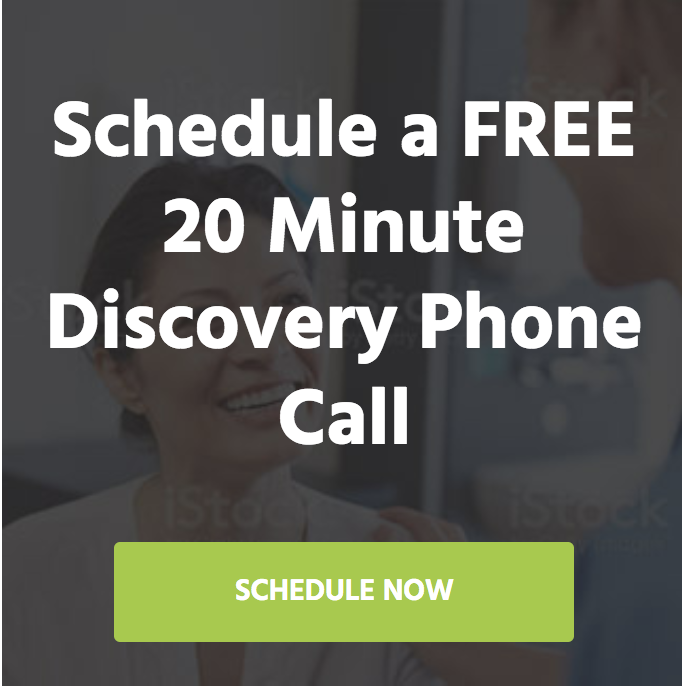 She helps clients with chronic health concerns restore digestive health, reduce inflammation and abolish sugar cravings so that they can find vitality in their lives. 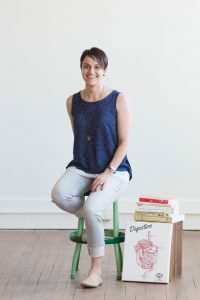 Her passion is to simplify and demystify nutrition facts and to motivate and guide clients so that they have the tools they need to manage chronic symptoms naturally. 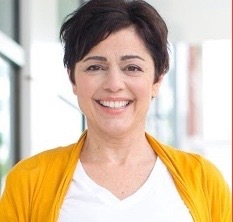 Carolyn makes living a healthy lifestyle approachable and simple by providing tools, resources and guidance tailored to an individual’s lifestyle, goals and symptoms. On a personal note, she is lovingly married to her best friend, Ken, mom of three beautiful kids, one dog and six chickens. She loves yoga pants, campfires, and avocados. 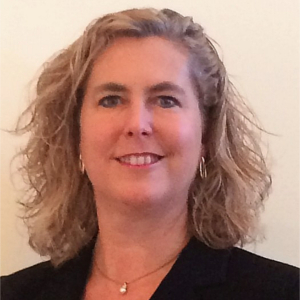 Linda is a Certified Holistic Health/Lifestyle Coach with a Master’s Degree in Habit Change. She graduated from The Institute for Integrative Nutrition and went on to earn a Holistic MBA. Linda believes that everything we do has a reason behind it. Uncovering that reason and moving your journey forward to where you want to go is one of her core values. When she is not coaching, you can find her educating on the uses of therapeutic grade essential oils and teaching yoga. Linda works with clients teaching them to tune into their bodies to discover what works for them. Transitioning to a healthy lifestyle is a series of stages. She supports and encourages them to show up for themselves everyday and achieve their highest potential and goals. She also believes you can be healthy, vibrant and full of energy at any age. Life is meant to be lived fully, vibrantly, healthy and happy. Ilyse is a Certified Health Coach and a Certified Life Coach. She graduated from the Health Coaching Institute where she learned cutting edge coaching methods and studied hundreds of different dietary theories and their origins. She has studied the works of some of the world’s top health and wellness experts. 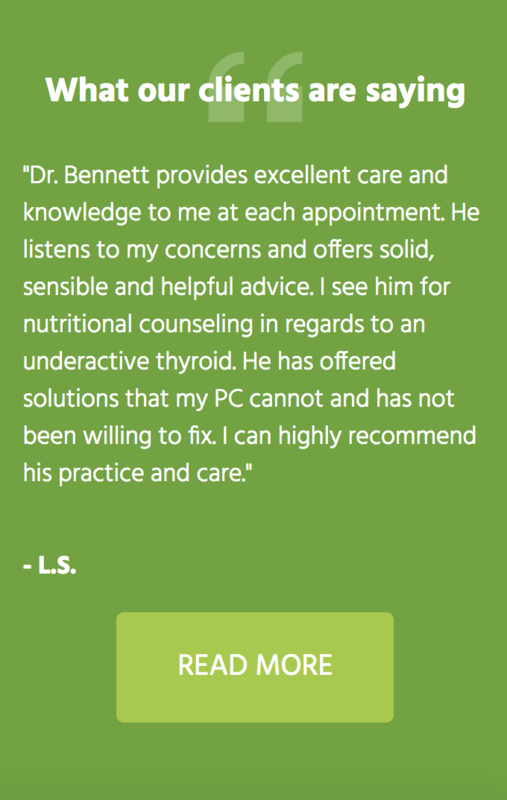 Her education and experience have provided her with extensive knowledge in holistic nutrition and prevention. Ilyse works with clients with the idea that no two bodies are the same – every body is different, every body’s need is different. She encourages others to see things from a different perspective, guiding them with her knowledge, motivation, and support. Her goal is to make her clients’ transition into a healthy lifestyle easier than they believe. Ilyse believes in a whole food, plant based approach to nutrition and recognizes the importance of a healthy body and a healthy mind. She teaches her clients to get back to basics, and believes that change takes time, but that one change can make a world of difference. Kimberly is the Business Manager for The Empowered Living Institute and has been working with Dr. Bennett since 2004. Kimberly helps the members of the Empowered Living Institute in all aspects of the business and manages the day to day operations of the business. Kimberly is a graduate of Lafayette College with a Bachelors of Arts Degree in Economics and Business, and received a Juris Doctorate Degree from The Dickinson School of Law. Kimberly has been a proponent of natural healthcare since she was a young girl. As a young girl, she was influenced by her father and grandfather, who were both chiropractors and strong proponents of natural healthcare. Kimberly enjoys spending time with her children, Ryan and Sydney, and her husband Dr. Bennett. She is currently an active member with the Sigma Kappa Alumni Lehigh Valley Chapter.